Lance Cpl. Micah E. Vogen puts a AH-1W Super Cobra helicopter's M197 20mm automatic gun on safe, after the helicopter returns from a mission to Al Taqaddum, Iraq, March 25. 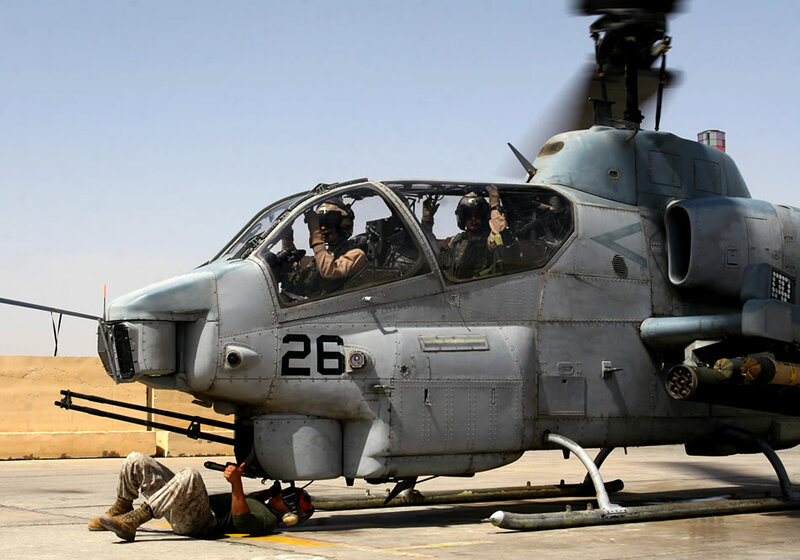 Vogen and the ordnance division Marines with Marine Light Attack Helicopter Squadron 369, Marine Aircraft Group 16 (Reinforced), 3rd Marine Aircraft Wing, are responsible for quickly arming Cobras and UH-1N Hueys before they fly out on missions. Vogen is an aircraft ordnance technician and Kansas City, Mo., native.